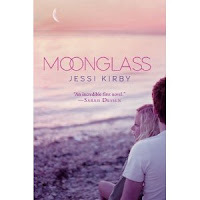 JH: Today I'd like to welcome YA author Jessi Kirby to the blog to talk with us about her writing process. Unless you're brand new to the blog, you've no doubt heard me say there is no right way to write, and I love posts from other authors that share their process and their way. It's a good reminder that if one process isn't working for you, try another until you find one that does. Jessi is the author of Moonglass, In Honor, and the forthcoming Golden, which will be released in May of 2013. 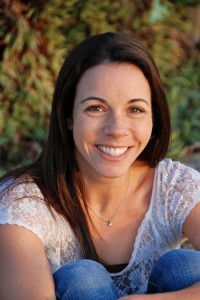 She is also a former English teacher and librarian, wife, mom, beach lover, runner, and lover of Contemporary YA, strong coffee, and dark chocolate. In that order. I think it’s safe to say that, aside from “Where do you get your ideas?” the most commonly asked question of writers is “What is your process?” I ask it all the time, of every author I get a chance to talk to, not only because I find it completely fascinating, but because I’m always hoping there might be some little bit of wisdom about their process that resonates with me. I’m constantly trying to work on my process and find ways to streamline it. What follows here is a bit about what I do, and the hope that maybe it can help someone else do the same! The setting-I can’t begin to imagine a story without picturing it in a place I’m excited about. Setting is hugely important to me, so this one is a biggie, second only to character. I start collecting pictures to keep around for inspiration—post cards, old calendar pages, images from the internet, etc. These go up all over my office walls. Jacket copy-For me, one of the most fun parts of beginning a new story is imagining what the flap will say. Writing a paragraph or two with that in mind helps me to think about the general arc of the character and the themes that may come out of that. Key scenes-I don’t always know the beginning or the ending of the story, but I usually have a few key scenes in mind that I put down on index cards or post its, and continue to add to as I go. These cards eventually go up on the big bulletin board in my office, so I can see how they fit together as a whole. Maybe someday I’ll try Scrivener for this, but there is something about having it all on actual, physical paper that is much easier for me to absorb. Once I’ve got these things, I start the process of trying to fit them together and create a story. For MOONGLASS and IN HONOR, that involved writing very general story outlines, then doing more specific outlining for each scene as I came to it. I do scene outlines by hand, on yellow legal pads before I write them on the computer. Again, it’s something about the paper and the physical act of writing that lets me get the essence of a scene down before I have to type it into the word doc. I outline most of the dialogue this way as well. Then, when I finally do sit down at that blank screen, it’s not so intimidating because I feel like I’ve got a road map. When it comes to scene outlining, I try to remember the following, which I have permanently posted in my office. I read it a while back, either in a craft book or on a blog, and I really wish I knew who to credit for it! For now though, I can only pass it along. From there, it’s a process of weaving all of the scenes together and checking that they do all of the above. Doing things that way worked for my first two books, but the process of writing GOLDEN, my newest, was very different. Because its plot is much more complex than any I’ve written before, and I wasn’t even sure if I could pull it off, I plotted out the entire thing before I started. It was difficult, and many of the plot points changed as I went, but it was well worth it. As I gear up to begin working on a new book, I know I will begin with my basics, but I also know I’ll toss in a few new things and see how they work. Writing is a never ending process of learning what works for you as a writer and for each story in its own way. I read once that water is a symbol for emotions. And for a while now, I’ve thought maybe my mother drowned in both. Anna’s life is upended when her father accepts a job transfer the summer before her junior year. It’s bad enough that she has to leave her friends and her life behind, but her dad is moving them to the beach where her parents first met and fell in love- a place awash in memories that Anna would just as soon leave under the surface. While life on the beach is pretty great, with ocean views and one adorable lifeguard in particular, there are also family secrets that were buried along the shore years ago. And the ebb and flow of the ocean’s tide means that nothing--not the sea glass that she collects on the sand and not the truths behind Anna’s mother’s death--stays buried forever. I enjoyed reading Jessi's take on how she writes. This is great! I also have "key scenes" in my head when a new book is burgeoning. And I've found the process of writing it out keeps the idea in my head in a more tangible way. Thanks so much! Plotting and index cards...two of my favorites! Thanks so much for the awesome tips. I have started developing plot by asking myself questions only recently. Don't know yet if I'll stick with that approach. I don't outline--it just kills the story for me--but I do love writing out key scenes! I really like the idea of collecting pictures of setting; I may have to try that one.